Published 5 months ago. About a 7 minute read. The global movement to end textile waste continues, with the release of outer- and undergarments from new and established brands alike. United by Blue (UBB), the sustainable outdoor apparel and lifestyle brand that removes a pound of trash from the world’s oceans and waterways with every product sold, has launched what it is calling “the Future of Sustainable Outerwear” with The Bison Puffer Jacket, insulated with North American bison fiber that is often considered waste and thrown away by the ranching industry. “Winter is fast approaching. Most of us are pulling our coats from storage or shopping for a new one, guided by the question, ‘Will this jacket keep me warm?’ While warmth is vital, we’re challenging ourselves to consider an equally important factor: ‘What’s in my jacket?,’” says Brian Linton, UBB’s founder & CEO. “It should come as no surprise that the most important part of a jacket is what you can’t see: the insulation inside. Joining UBB’s snap jackets, socks, hats, gloves and blankets made from the naturally temperature-regulating, hypoallergenic and lightweight fiber, the Bison Puffer Jacket is insulated with 190gsm B100™ Fill, United By Blue’s sustainable alternative to down or synthetic insulation, made with 50 percent North American bison fiber and 50 percent recycled polyester blend. The bison’s shaggy coat consists of a layer of hollow, compactable, resilient hairs that allow them to keep warm and dry in the harshest winter climates. 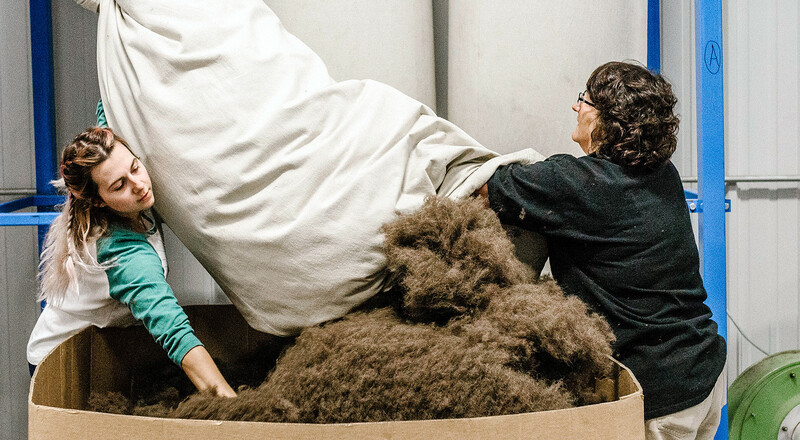 Bison fiber is an often-discarded byproduct of the ranching industry. United by Blue has spent the past 5 years creating a supply chain to intercept and harness the power of this natural fiber and diverting it from a landfill. “The Bison Puffer Jacket is the most sustainable down alternative jacket we have ever produced. Incorporating lighter-weight and higher-performance recycled and natural materials, the bison puffer raises the bar for not just bison-insulated outerwear, but sustainable outerwear.” says Brendan Rauth, Product Designer for United by Blue. The jacket and vest can be purchased online at unitedbyblue.com/bison-puffer or REI.com, at select REI retailers, and at United By Blue retail locations in Philadelphia and Manhattan. Beyond Knickey's offering of organic cotton undies in real hues, its recycled and sustainable packaging is thoughtfully designed to be reused — to send back your old underwear at the end of its useful life. Knickey's take-back program aims to improve system circularity for a seemingly disposable product; for convenience (and health), Knickey has a subscription service for recurring deliveries that runs in conjunction to its take-back program. Founded by Cayla O'Connell Davis, who's held high-level positions in sustainability, supply chain and design at industry-shaping companies since graduating Parsons in 2014. O’Connell Davis says she founded Knickey in an effort to bring better basics to the mass market, and to prioritize customer and planetary health with a better product offering at an accessible price point. As O’Connell Davis points out, most people hold onto their worn-torn “laundry-day” undies for years — largely due to the fact that there is no safe way to dispose of them. You can't donate them to Goodwill, most textile recyclers [if you have access to them] will not accept them, and throwing them in the trash sends them straight to a landfill to leach toxic chemicals into the earth — if they break down at all. 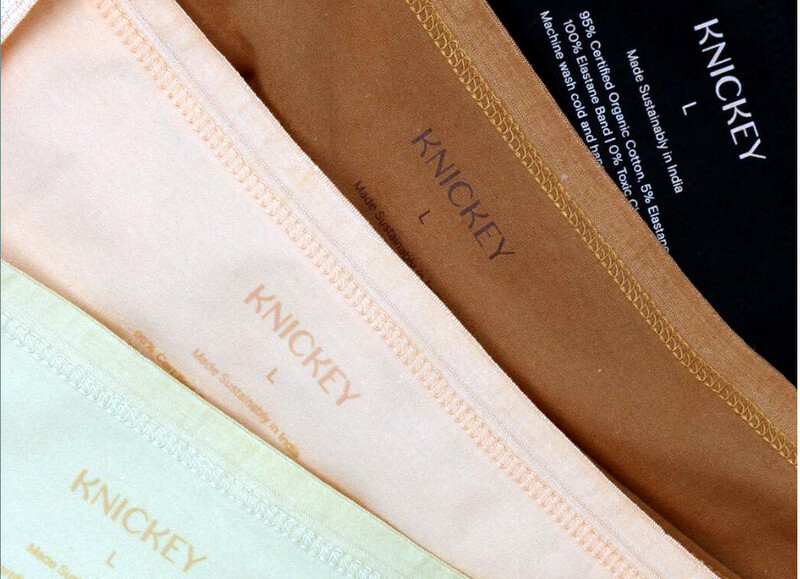 As a small incentive, Knickey offer a free pair of new undies every time a customer sends back a pair of old ones. Knickey has partnered with a NYC-based nonprofit that then sorts the goods to determine their reuse and recycle streams by quality, material and wear, and then passes them onto those respective channels. The recycler then downcycles the materials into fiber lint and puts them to use in insulation, batting and industrial rags. According to Sourcing Journal, 83 percent of consumers say they mostly buy cotton-rich underwear, and 54 percent say they are "very or somewhat concerned" that their intimates may be made from manmade fibers. In 2008, more than 600 people joined a class action suit against Victoria's Secret for horrific skin reactions and permanent scarring, as a result of wearing VS bras, which were finished with formaldehyde, a known carcinogen. Speaking of sustainable undies: Right now, 640,000 tons of discarded nylon fishing nets sit beneath the ocean’s surface. Sustainable basics brand Arvin Goods has just joined the cleanup team with its latest launch: a collection of boxer briefs made from ECONYL® regenerated nylon — made from recovered nylon waste, including abandoned fishing nets, fabric scraps from mills, and carpets destined for landfill. Founded in 2017, Arvin Goods makes quality, design-led basics and works towards a closed-loop cycle that saves over 50 gallons of fresh water with each pair of socks or underwear.